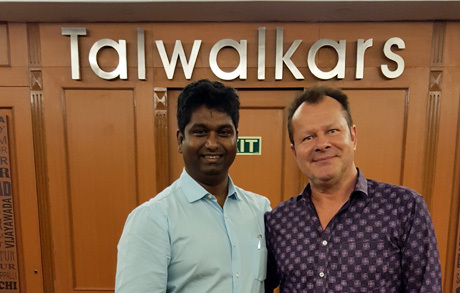 Very pleasant and fruitful business talk in Mumbai / India with Mr. Subodh Bagayatkar, the Project Head of "TALWALKARS Better Value Fitness Ltd." regarding our EMS-Stimawell whole Body Stimulation System. We are lookin' forward to create and push an intensive collaboration for PAN India with Talwalkars exclusive. Many thanks to Talwalkars Group and congratulation to their 85th company anniversary !